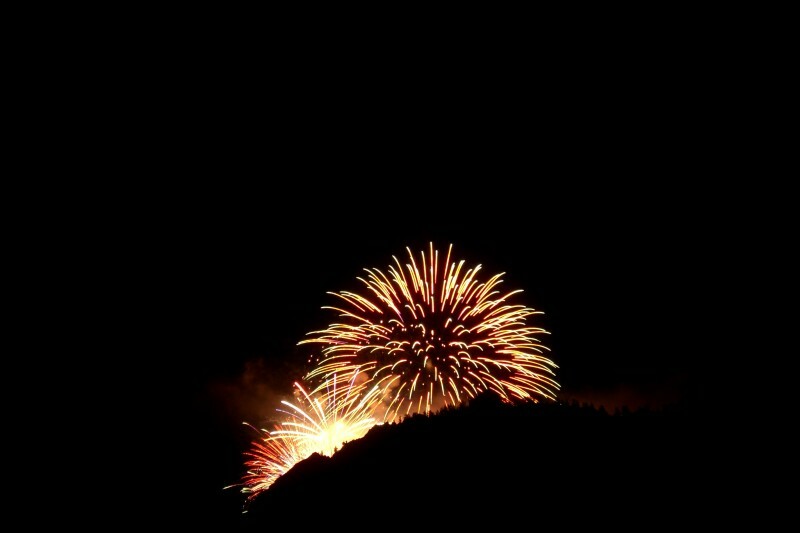 Fireworks for the Food & Wine Classic illuminate the ridge ofShadow Mountain. Feelin’ the need to celebrate Opening Day for the 2008 ski season here in Aspen, and of course, Thanksgiving! So, I thought I’d share a photo of fireworks from Food & Wine last year… which, coincidentally rang in the last day of the phenomenal ‘07 ski season. The Aspen Mountain ski area re-opened for the weekend of The Food & Wine Classic last year, because we still had SO much snow up there! I was just outside town, right by the Maroon Creek golf course, so the fireworks lit up the Shadow Mountain ridgeline very nicely here. This entry was posted on Wednesday, November 26th, 2008 at 10:56 pm	and is filed under fireworks and tagged with Ajax, fireworks, Shadow Mountain. You can follow any responses to this entry through the RSS 2.0 feed. You can leave a response, or trackback from your own site.